Customers who have diverticulitis should avoid food items that irritate their stomach linings. 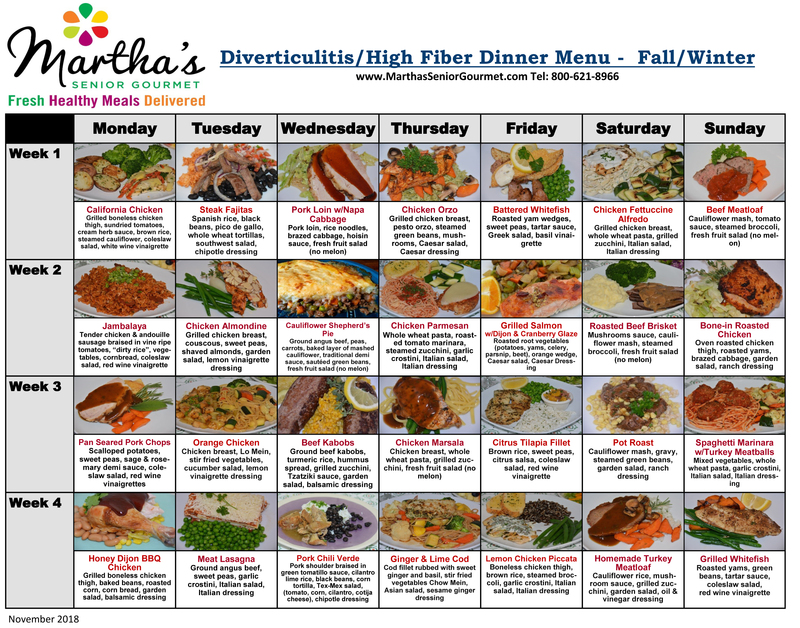 According to the Mayo clinic, a diverticulitis diet is a high fiber diet. Recommended foods: Squash, peas, potatoes, spinach, beans, whole grain breads and pastas and even nuts and seeds. However, during an attack, or a sever inflammation, a low residue diet is recommended to clear the patients from their symptoms before resuming the high fiber diet. 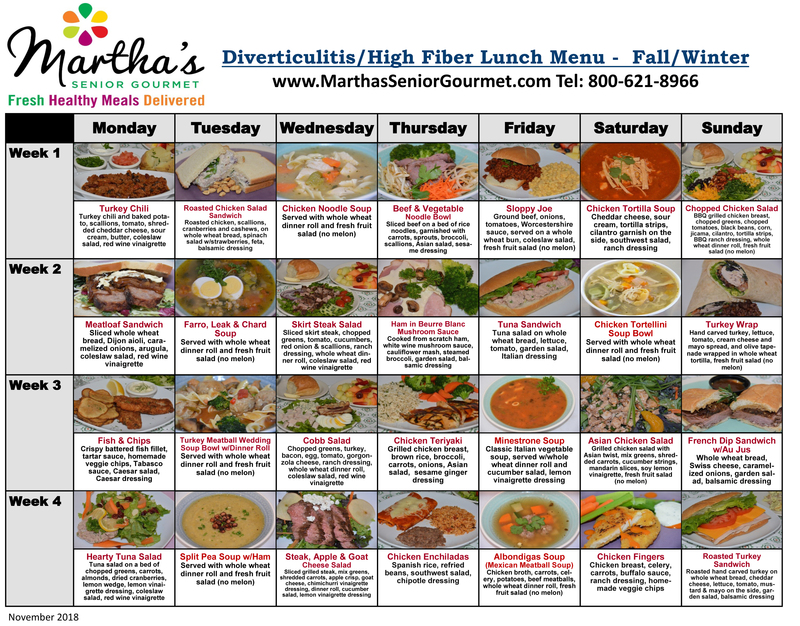 Our menu, is a high fiber menu, although we can adjust to a low residue menu if needed. Place your order to begin getting your dinner delivered with our home food delivery services!